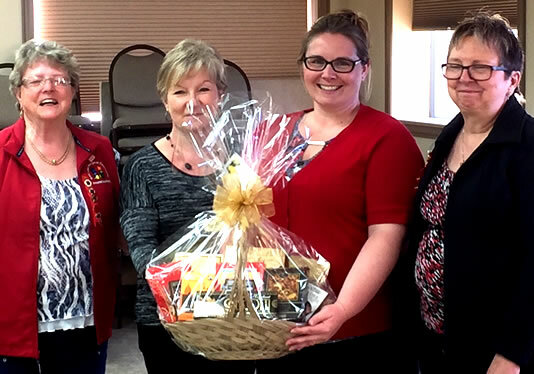 The Red Lake Margaret Cochenour Memorial Hospital Auxiliary, was founded with a mission to help the RLMCMH provide care, comfort and service to the patients, family and visitors of the Hospital and to raise funds to continually support that mission. The Auxiliary is a registered charity and has numerous fundraising initiatives. The funds raised are donated to the Hospital to purchase new equipment, fund education or other activities that improve patient experience and healthcare for the residents of this vibrant community. If you are interested in volunteering with us, please contact us to obtain an application via email. Events include; raffles, luncheons, special occasion like the annual Christmas "Celebrity Bagging", and many other fun and interesting events are held throughout the year. Our fundraising activities supported by our great community and proceeds from the in-hospital vending machine, have enabled us to continually assist the hospital in a variety of ways for which we are very proud of. We are always grateful to the members of our community who kindly donate items for our raffles, events and other activities. Friends of the Auxiliary - both individuals and businesses - are greatly appreciated for the ongoing support they give to our various fundraising ventures. If you are interested in providing any kind of donations please contact us to make necessary arrangements. © 2018 Red Lake Margaret Cochenour Memorial Hospital. All rights reserved.